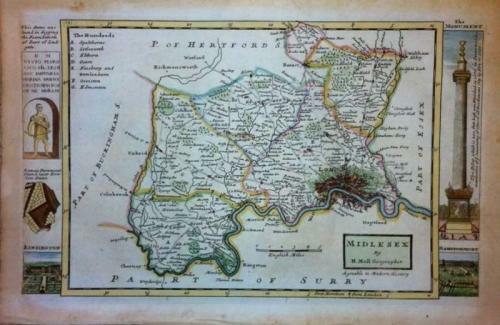 An elegant map of Middlesex, with monuments and coins and antiquities in the side panels. In good condition with margin toning. Would frame well.